Within just seven weeks of graduation, 100% of Orlean Beeson School of Education’s Early Childhood, Special Education, Elementary, Elementary Collaborative (ESEC) May 2018 graduates accepted teaching positions or were accepted into Master of Science in Education programs. Very frequently, ESEC program graduates are employed or pursing graduate studies within three months of graduation, but candidates in the May 2018 graduating class were offered teaching positions at an extremely impressive rate. 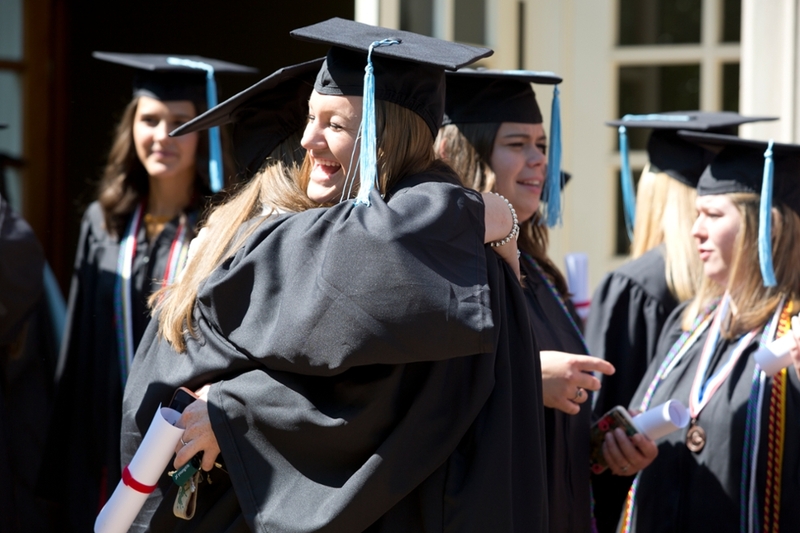 “Prior to graduation, more than 60% of our graduating class had already established where they would be teaching in the fall,” said Karen Birkenfeld, Teacher Education department chair. Less than four weeks after graduation the cohort had already reached an 80% hire rate. The ESEC program is the only program in the state of Alabama to offer four state teaching certifications within one program. It is one of the programs in the state to be nationally recognized by each of the Specialized Professional Associations represented within the degree. The four certifications make students highly marketable to schools, but faculty and staff believe the high level of professionalism in which candidates present themselves also contributes to the remarkable hire rate. Candidates have the opportunity to enroll in education courses and field experiences as early as freshman year. By the time they graduate, they will accumulate over 1,000 hours of field experience and more than 600 hours of internship experience. “We believe this immersion model prepares our students to be highly effective teacher leaders and colleagues when they enter the field,” said Birkenfeld. “I feel ready,” said 2018 graduate Sarah Mince. “I know that I am prepared, and I am confident that I can face whatever comes my way as I step into my first classroom. Without Samford, I don’t know that I would feel this way.” Mince is eager to begin her career teaching fourth grade at Cahaba Elementary School this fall.